Traditional TV is dying, with streaming quickly becoming the new normal. Mostly thanks to Fast Fibre Internet being more accessible than ever before and services like Netflix providing easy access to on-demand content. In South Africa, traditional broadcasters have failed to innovate and now find themselves in an awkward position—scrambling to play catch-up with streaming services that offer more convenience at a much lower price. The combined cost of Netflix and our 10Mbps uncapped Fibre service is only R696, R113 cheaper than DStv Premium at R809 a month! Check the table below for our price comparison. The Internet has made us so used to having anything at the touch of a button that regular broadcasting no longer makes sense. Netflix gives you the power of choice, you can watch whatever you want the moment it’s released, in one sitting if you feel like it. Forget channel flipping through DStv’s often clunky menus and channel navigation! With Netflix, you simply search for whatever you feel like watching. South Africans have been moving away from DSTV in droves as Fibre reaches more homes throughout the country and fast reliable Internet access becomes more affordable. In comparison, Fibre Internet is far more value for money than DSTV could ever be. With a DStv Premium subscription, you have access to 148 channels, though most will go unwatched and the consensus is that the service is filled with reruns and repeats. While DSTV does give you (limited) access to on-demand content, you need a good Internet connection to make the most of it anyway. With Fibre Internet you unlock so much more than entertainment, you get a reliable connection that allows you to work from home with ease, game online without lag and lengthy download times and stream all the content you want buffer free in HD. We’re making it even more affordable for you to access your favourite content on Netflix and a whole host of other online platforms like YouTube and Red Bull TV. All new fibre orders get R600 off a Kwesé Play Roku-powered streaming device. 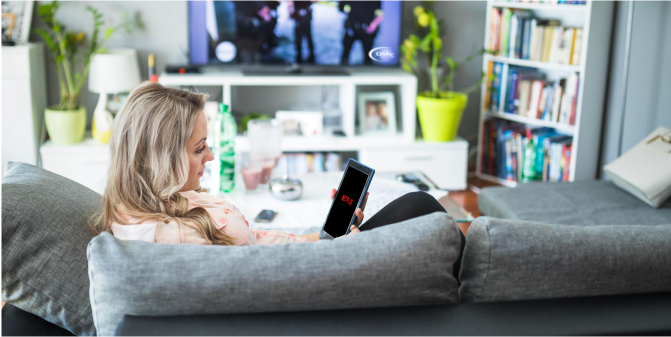 It’s the easiest way to turn your TV into a smart TV, with a simple setup process you’ll be streaming in no time. With over 100 streaming channels on the Kwesé Play, there’s something to stream for the whole family. You can add a Kwesé Play to your fibre order for only R999, including delivery, while stocks last. This offer is in addition to all the other great benefits you get with our Fast Fibre Internet, like an hour of free onsite support, up to R2500 off for referring your friends, 1 GB free mobile data each month, a free premium router, free installation and/or connection and so much more, all saving you up to R7000. Far more value you could ever get from DStv. Get a great connection and start saving now.